What is erythrodermic psoriasis? It’s the rarest yet the most dangerous type of psoriasis. It attacks the majority of the skin surface, making the consequences serious. Unless the erythrodermic psoriasis treatment starts immediately, a patient may die. People prone to psoriasis should learn everything possible about this type in order not to miss the symptoms. Timely medical assistance can prevent lethal consequences. 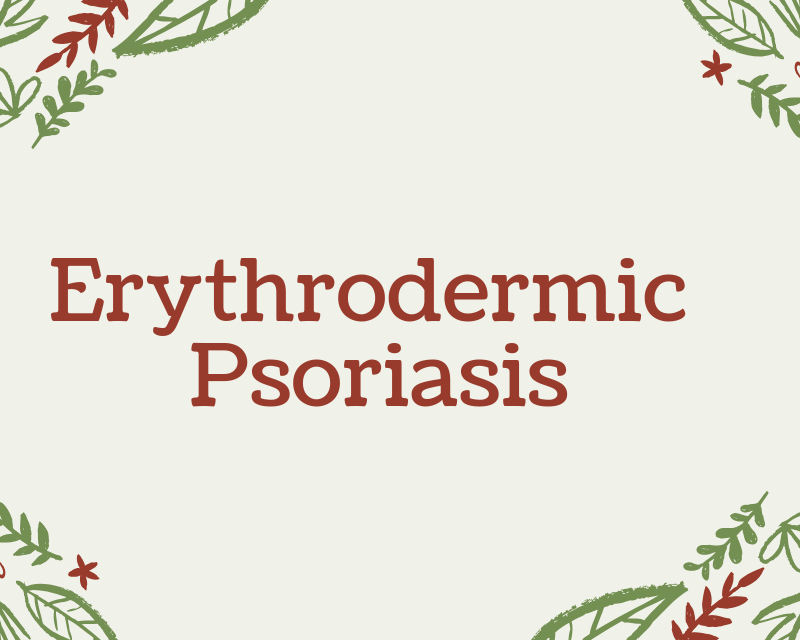 Erythrodermic psoriasis doesn’t allow the skin to function properly, regulate the body temperature, and maintain the moisture. The loss of fluids and nutrients can lead to sepsis, pneumonia, and other conditions. The lack of moisture can eventually cause heart and kidney failure. What Are The Causes of Erythrodermic Psoriasis? The causes of psoriasis are unknown, and erythrodermic type is not an exception. 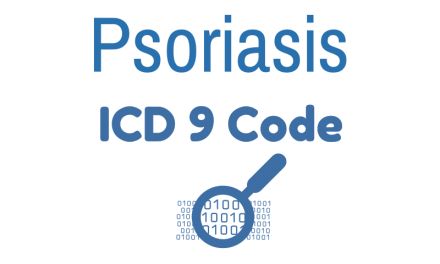 Psoriasis is an autoimmune disease. The body mistakes healthy skin tissue for an intruder and starts attacking it. As a result, the skin is covered with rashes and patches. While scientists haven’t found definite erythrodermic psoriasis causes, they believe that the condition may be hereditary. If one of the parents has psoriasis, a child has a 10% chance of developing it. If both parents have the condition, a child has a 50% chance of experiencing the symptoms. How Common Is Erythrodermic Psoriasis? Erythrodermic psoriasis is rare. Less than 2 percent of patients with psoriasis have this type. Usually, it affects people over 50 years of age. If you have plaque psoriasis (which is the most common type), you may be at risk of developing erythrodermic psoriasis later on. People with pustular psoriasis are also at a risk of developing the erythrodermic type. Overall, a person with psoriasis symptoms should always watch out for them worsening and turning into the erythrodermic form. However, this type of psoriasis can suddenly occur in otherwise healthy people as well. Children also suffer from erythrodermic psoriasis. It may start lightly and then grow into a severe form with time. What Are The Symptoms of Erythrodermic Psoriasis? The erythrodermic psoriasis symptoms differ from other types of this condition. A flare-up occurs on any part of the body, making it appear as if it has been burned. The skin starts itching and burning severely. The pain can be intense. Unlike in other types of psoriasis, skin peels off the body in sheets, causing pain and intense discomfort for the patient. By shedding large pieces of skin, the body loses its protection thus making the patient vulnerable to infection and dehydration. The side effects of erythrodermic psoriasis are similar to burns. In many cases, they require immediate medical attention and hospitalization. The symptoms to watch out for are an intense burning sensation, large pieces of skin peeling, and body temperature fluctuations. All of them warrant a doctor’s attention. When erythrodermic psoriasis symptoms first occur, it’s important to visit the doctor as soon as possible to discuss the course of treatment. It’s impossible to say when mild erythrodermic psoriasis may turn into a severe form of the condition. A patient has to be ready to react to the symptoms worsening immediately. What Are Erythrodermic Psoriasis Triggers? While the first symptoms of any type of psoriasis can develop without warning, it’s often possible to prevent new flare-ups. It’s important to know your personal erythrodermic psoriasis triggers in order to extend the remission period. Sunburn – It’s highly important to wear sunscreen even when it’s not sunny outside. The sun rays get through the clouds easily, burning your skin while you don’t notice it. Alcoholism – While a few occasional glasses of wine won’t affect your skin, intense alcohol intake may. It dehydrates your body, making the appearance of erythrodermic psoriasis more likely and more dangerous. Infection – Skin infection may lead to immune system overreacting and psoriasis starting to form. Medication withdrawal – Stopping to take certain medications abruptly may trigger psoriasis. It’s important to consult a doctor about any changes in the medication schedule. Emotional stress – Stress is one of the most common triggers for numerous conditions, and erythrodermic exfoliative psoriasis is not an exception. The best way to avoid such a trigger is to learn stress-fighting techniques in advance. 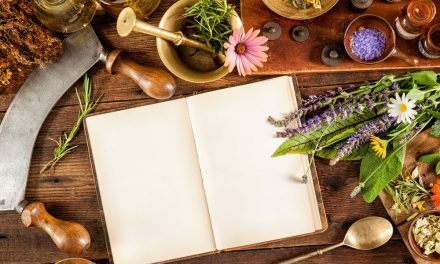 Medication – If you are taking the following medication, you may be at risk of getting psoriasis: lithium, beta-blockers, NSAIDs, malaria drugs, and tetracycline. Smoking – On its own, smoking is unlikely to trigger first symptoms of psoriasis, but it may make flare-ups more likely to reoccur once the condition manifests itself. How Is Erythrodermic Psoriasis Diagnosed? Psoriasis is an underdiagnosed condition due to a lack of awareness. In the majority of cases, it’s not diagnosed timely because a patient fails to visit a qualified dermatologist as soon as the symptoms appear. A doctor can diagnose erythrodermic psoriasis with a quick discussion of your family history and a visual and physical exam. In some cases, a biopsy may be necessary to finalize the diagnosis. As soon as the psoriasis is diagnosed, a treatment can commence to substantially improve the quality of a patient’s life. What Are The Treatment Options For Erythrodermic Psoriasis? 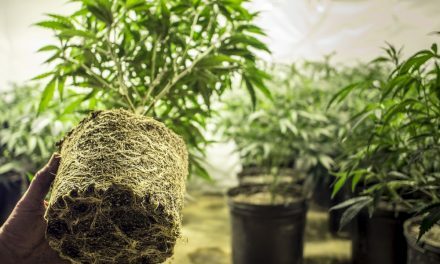 While in some cases only one approach may help alleviate the symptoms, a doctor may prescribe a combination of the above to help deal with the condition. Systematic medications have shown some of the best results in fighting this rare type of psoriasis. Today, biologic drugs that target specific parts of the immune system have shown excellent results for some patients. They are usually used when a patient doesn’t respond to other treatment approaches. Some people look for natural treatment of erythrodermic psoriasis. However, the majority of such methods are aimed at preventing the triggers. It’s highly dangerous to try and treat erythrodermic psoriasis at home since the side effects of such an approach may be lethal. With the right treatment, the flare-up eventually subsides, leaving the skin in a normal condition. However, studies show that about 5% of erythrodermic psoriasis cases may be fatal. The most common causes of death are pneumonia, staphylococcal septicemia, and heart failure. In third-world countries, the death rate from erythrodermic psoriasis reaches 64% due to lack of timely treatment. If you suspect you have erythrodermic psoriasis, it’s important to contact a doctor immediately. Patients who already suffer from pustular and plaque psoriasis should carefully watch their symptoms. Timely treatment can reduce the risk of death and complications. While treating plaque psoriasis at home is usually possible, doing the same with erythrodermic psoriasis may turn out to be lethal. Even if you seem to have a mild case of erythrodermic psoriasis, it’s still important to talk to a doctor to decide on a course of action. Even though erythrodermic psoriasis is the rarest type of this disease, it’s the most severe one. 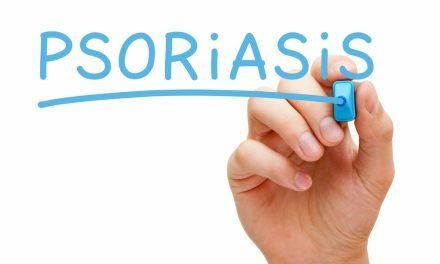 It’s highly important to get this type of psoriasis under medical control as soon as possible in order to avoid unfortunate consequences. With the right approach, it’s entirely possible to keep erythrodermic psoriasis at bay and enjoy a satisfactory lifestyle.